An ex-con ex-partner to Vance showed up with an intricate scheme to make off with over $200,000 from a bookie on NCIS Season 13 Episode 4. And he wasn't above putting Vance's career in jeopardy to do it. This prompted Vance to team up with Gibbs on the investigation, much like Starsky and Hutch or Butch and Sundance. Or Batman and his toothpick-chewing sidekick Robin. 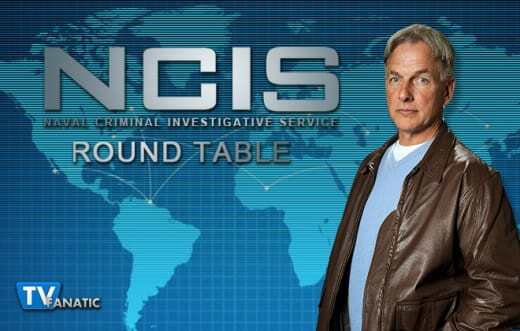 Below, TV Fanatic panelists David Taylor, Christine Orlando, Kathleen Wiedel and Douglas Wolfe hash it all out in this week's NCIS Round Table. Maybe you can shed some light on it all. Join us, won't you? How would you describe this episode in a few words or sentence? David: Once a dirty agent, always a dirty agent. Christine: Everything changes, for better or worse. Kathleen: Know your enemy, know yourself. Doug: Politics is for politicians, but loyalty is forever. 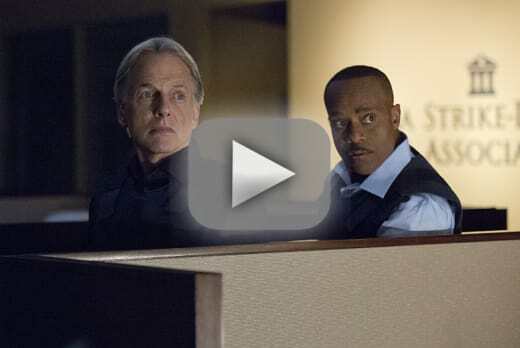 What are your thoughts on the team-up of Gibbs and Vance? David: I liked it. It was a very entertaining change and I think it's good to "look back" every so often. Christine: I was surprised at how much Leon seemed to feel like he had something to prove. At times it felt as though he was trying too hard to convince Gibbs he could be useful. Kathleen: I found the team-up silly, if entertaining. Unfortunately, I felt that it came a bit out of left field from Vance's perspective owing to the fact that we really haven't checked in him on a personal level in awhile. It felt weird when he claimed to have forgotten the reasons for doing his job as Director of NCIS. Why does he feel the need to prove anything to anyone, especially given what we already know about Leon Vance? Dude, you've survived Eli David, so you're doing pretty good to me. Doug: I had the same questions as Kathleen, and didn't buy the whole "I forget who I am" speech either. Other than that though, I enjoyed the team-up very much. They were fun to watch, despite that ridiculous toothpick. Did SecNav Porter’s ultimatum to Vance ring true? Why or why not? David: I knew it was a bluff. Ratings and viewership aside, surely SecNav had the power to make this go away and stop a crooked agent from making NCIS look bad. Christine: I can’t imagine SecNav being involved to this extent, plus she was very quick to threaten Vance with retirement. The whole thing felt like made up drama to me. Kathleen: I am on board with Christine and David. After all, the threat of the press conference and lawsuit were nothing more than hot air being blown by a bitter ex-agent who already has a well-known grudge against Vance and had already attempted to frame him before. And Porter knew all of this. SecNav's ultimatum was completely ridiculous and apparently revealed just how little faith she had in Vance. Doug: We're unanimous in our assessment. The setup was ridiculous. In real life (as we've seen in the news) politicians can get away with almost anything they want, if they put the right spin on it. There was nothing salacious about Vance, and certainly nothing that would hold up in court. So why did the SecNav suddenly feel threatened? Christine's right: it was dramatic and false. David: Hands down, the daytime ride-along. It made me think of similar scenes in "Hawaii Five-0" where Steve and Danno engage in similar verbal sparring/sniping. It seemed like a look into those characters' futures. Christine: I loved it when Tony and McGee did the role playing and Tony figured out how they did the LSD transfer via skin patch to the victim. It was Tony DiNozzo at his best. Kathleen: Like Christine, I really enjoyed that interrogation scene with the role playing. I also give props to the moment when Gibbs revealed that he (through Bishop) had planted his phone in the evidence box. Surprise, Vance! Doug: The ride-along was fun to watch. More compelling than that though was Gibbs' quiet newfound wisdom, repeated at least twice in the episode, about how everything changes. It's important to the writers that this was said, and therefore it's important to us and to the series. I can't wait to see where they're going with it. David: I saw the dirty lady lawyer coming.....it was practically visible from space. She was just too passive/aggressive to be innocent in this. She's the very reason people hate lawyers. Christine: I was disappointed when the SecNav tried to sell Vance on the upside of retiring due to the possible scandal. Telling him he could spend more time with his kids or that he'd manage to survive the job longer than his predecessors felt really wrong to me. Kathleen: I'm with Christine. This episode does not portray SecNav Porter in a very positive light. She's ready and waiting to kick Vance to the curb for some reason, even though she herself points out (as Christine mentioned) that he's had a longer tenure as Director of NCIS than both his predecessors put together! To last that long at the head of a federal law enforcement agency, he must be doing something right, yes? Well, apparently that doesn't matter to Porter. Doug: I agree with Christine and Kathleen about the SecNav. She became a real disappointment when she tried to sell Vance on the merits of retirement, as if he couldn't see right through her. It makes me wonder though: was the situation at hand merely a convenient tool to get him thinking in that direction? Does she have an ulterior plan in mind for the future? Vance: I made a mistake. I forgot to trust my agents to do their job. And in the process I forget what my job was. It won't happen again ma'am. I gave up being an agent so I could lead and protect this agency. That's where I can make a difference. It's where I still can. Porter: So you inspire loyalty in your agents. Loyalty to the point of stupidity sometimes but loyalty nonetheless. So if I have to fire you tomorrow, they'll be upset. Vance: Yes, I'm still in charge. Now get back to work. You're stuck with me.